It was a great moment in the month of this writer when a simple phone message announced the albeit inevitable return of alt pop voyagers Ooberman. After a four-year hiatus forced on by what the band describe as “the sheer obsessive striving for the magical core of inner reality” (Oober-laymen, I sincerely recommend checking out the multi-layered beauty of the Running Girl mini-album and Hey Petrunko LP), they’ve emerged again from esoteric corners of the North with an album that breathes a more relaxed wisdom of age, yet still transports the heart to the stars. It was good to see Alistair Fitchett writing some typically stirring words about Hefner in a recent Tangents column, and Pete and the Pirates’ mini-album on London’s Stolen Recordings fits perfectly with the Hefner sensibility, its epic ebb and lascivious refrains speaking in similarly inspired tones. 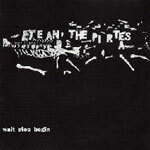 The Pirates’ Wait Stop Begin is one of another five sets that have heaved for time on my stereo this month, the others being a vintage electronic stroll from Third Eye Foundation collaborator Chris Cole (A.K.A Manyfingers), a long player from the much-vaunted Manchester troubadour Liam Frost, a blast of cool melancholia from New York indie chanteuse Nina Nastasia, and a perspective-enhancing “hour of bells” from the cerebral New York retinue Gamelan Son of a Lion. First though, some profound spectral thrills. 2002’s Running Girl mini-album signified a profound departure for the band into introspective depths that had only been touched upon playfully in their early incarnation. Harbingered by the band’s increasing interest in Eastern art, their journey into Eastern-European folk stylings was an underrated success, sublime tracks like ‘Here Come the Ice Wolves’ and ‘Ghosts’ crackling with a strange and exotic fascination that the band adopted with seamless aplomb. Running Girl and its full-length follow-up, Hey Petrunko, marked Ooberman out as a group of fascinating, utterly alternative evolution, and it’s great to have them back in what will hopefully be a time of easier productivity. I say this because Carried Away sounds like it’s come easier to them, in the way that things do after you’ve strived and delved so deep for a certain period, watched the fruits appear, and then, for whatever reason, subsided into the background only to come back later. During their hiatus, lead singer Dan Popplewell put his mind to creating cinematic soundtracks (one of which was used to score a documentary on leopards), and on returning to the Oober garden, you sense his greater freedom. Carried Away carries no burden of creativity, but thrives on a kind of intensity of lassitude, the eleven tracks having a lighter feel that beguiles you into their depths. Ooberman have never been a band to embrace humour or irony to any great effect, but in its place they have a sparkling earnestness that, in a poetic line or blinding aural melody, can bring a swelling of tears to the eyes like no other band I’ve personally been brought up with. As the warm days begin to subside into teary grey, ‘Lavender Blue’ has that ease of summer coated in a wondrous winter warmth, while tracks like opener ‘Carried Away’ and ‘Beauty of Your Soul’ are substantial and shimmering torrents of spectral pop bliss. Popplewell and Churney retain all the subtle magic of their past co-songwriting endeavours, and the rolling piano and wistful poetry of ‘Mary Grows Old’ and ‘Far Far Away’ is stunningly poignant and beautifully poised, while the Flett brothers’ contributions, filled out with Churney’s layered backing vocals, are becoming quintessential Ooberman. And now there’s that voice. Though Popplewell’s newer ease has translated itself to his own vocals, which now sound more soulful than ever, the decision to hand over lead duties to his partner Sophia Churney is a wise one. Churney’s voice came to prominence with Ooberman’s small band of followers in the tearful poem at the end of early single ‘Shorley Wall’, and since then Popplewell has coaxed more and more out of it until now we’re greeted by an Angel of the Ancients. The already sweetly moving, profoundly-spiritual lyrics and refrains of Popplewell, the Fletts and Churney herself are now emoted in grand style by the half-Russian/half-Welsh beauty at the Oober helm, and if this isn’t a recipe for glory, I don’t know what is. Carried Away a relaxedly accomplished success, an emotional reunion is promised when the band venture out on the road. What we’ll all be getting is a fragile end product that is hopefully here to stay. As the autumn nights draw in, albums like Ooberman’s and this nugget from New York indie chanteuse Nina Nastasia can threaten to wrap you up and never let go. A similar thing happened this time last year with Laura Cantrell’s Humming by the Flowered Vine set, and perhaps also, in a different sort of way, with Josephine Foster’s starkly beautiful Hazel Eyes, I Will Lead You. Whatever, autumn is a season you’d imagine was made, this year at least, for the music of Nina Nastasia. Nastasia’s forth album (and first for the FatCat label) is a quintessential collection of the kind of subtle contrasts and ambiguity that makes her such a fascinating songwriter, and breaking it up for analysis proves almost as enthralling an activity as sitting down and being passively enveloped by its effortless beauty. Nastasia’s ouvre, developed and refined over the last ten years since leaving Hollywood for the big apple, is a kind of Christmas without the presents. On Leaving passes by like just such an experience, with all the festivity of music intact, yet shrouded in ultra-refined intellectual melancholia. Indeed, this is an album you’ll have to make an outward effort to grasp, otherwise it’ll pass you by like a warm breeze. Nastasia is amazingly laid-back in her expression, but the wealth of emotion encapsulated in her poetically economic lyrics is as hard-hitting as you’ll get. Fully aware that four words often say more than ten, Nastasia’s expert reticence bestows minimalist beauty on hushed epics like ‘Counting Up Your Bones’ and opener ‘Jim’s Room’, while other songs glimmer with a more robust edge. The only legitimate comparison I can make with any recent release by another artist is the aforementioned Hazel Eyes by Josephine Foster, but whereas that was shot through with intentionally austere imagery, Nastasia is altogether more orthodox in her song conception. Her lyricism in On Leaving is artistically sensual, rendered like a romantic Godard masterpiece, while the songs manage to be stark, intellectually distant, warm and homely at one and the same time. ‘Brad Haunts a Party’ is a track that particularly underlines Nastasia’s utterly uncompromising arrangements, locking you into a story of lovers’ last journey with heated and unsteady percussion and frantic piano. It’s a song that has you all the more glued for its brevity, and the in/out nature of a number of tracks of similar length lends the album an extra, extra filmic grace. ‘Our Day Trip’ catches an altogether more hopeful atmosphere, drawn out to two epic minutes, its twinkling piano and serene beats making for just one of the stunning contrasts that renders the LP a complex masterpiece. That’s the word I’ve been getting to, in a roundabout way, and with such an unassuming way of going about things, Nastasia creates a new blueprint for the achievement. On Leaving is minimalist to a degree that it stares down any kind of artistic pretensions with utter empowerment. A winsome wonder to cherish under falling leaves, Nastasia is this autumn’s undisputed princess. 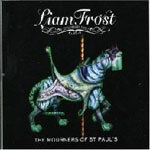 The British, male equivalent of the exact opposite of Nastasia (if you get what I mean), Liam Frost is at first glance a superbly advanced have-a-go-hero, at second possibly the new messiah, or possibly prince, of British acoustic indie. His debut LP jumps out of the stereo with a seething sense of adventure proper to such a billing yet rare to acoustic performers, on its poignant journey collecting sensitive souls like a modern indie ark. Show Me How the Spectres Dance is not confined by any modern, prosaic songwriting ethos and, as a result, although Frost’s utter commitment is palpable from the start, it takes a little digesting for the listener. His fiery, impassioned delivery is matched to labyrinthine melodies and baroque songplay, but the rewards for listening persistence are amazingly rich and varied. Skyscraping, defiant odes to hope, love and poetry like the tremendous opener ‘The City Is At Standstill’ and recent single ‘The Mourners of St Paul’s’ are matched to sunny waltzes through the end of relationships and sleepless nights of wonder as Frost presides over affairs with nothing less than enthrallingly honesty, completely unhinged as a soul-baring performer, while a contrasting, hushed, night-time lo-fi adds seething atmosphere to the LPs façade. Frost sometimes evokes a more straight-ahead Darren Hayman, allowing himself to be absorbed in his tales of tragic love and bitterness with a heroic lack of self-consciousness. ‘If Tonight We Could Only Sleep’ is an acoustic number on fire with such songwriting fervour, his restless evening next to a lover rendered in full colour like a conscious dream. The lyricism here is undisputedly grand, ‘Paperboats’ speaking of seas, stupor and sensuality with an enchanting, fairy-tale kind of ingenuity, and even when Frost turns down the lights and bestows some lo-fi twiddling on us in tracks like ‘Road Signs and Red Lights’, the instrumental expertise and pure passion purveyed throughout the LP ensures it still sounds fittingly lush and cathartic. Frost’s intimations of passion and bitterness never come across as anything less than rough-diamond elegant, but ‘Shall We Dance’ comes on as the kind of dyed-in-the-wool, mouth-organ fuelled wonder and bobble on the hat that we’ve been waiting for. Distilling his vast musical palette to its finest point, the pedal steel that emerges through it with the serenity of a ghost gives the album a sublime finishing sheen. Taking acoustic performance back into the hands of fervoured troubadours, Frost has made a vessel to enchant us all. A fascinating and epically imaginative debut. Vague intimations of Hefner continue through to a seven-track mini-album album by Pete and the Pirates on London’s Stolen Recordings. Similarly romantic, chivalrous, quixotic and humorous, the Pirates are the type of band that can be an antidote to any kind of adversity. With a little of the quaint English charm of the Mystery Jets and a subtle sprinkling of Hefner’s lascivious indie soul, they have the kind of arch and informed strut to satiate the desires of the most ardent indie outsiders. First noticed a few months back on a stunning compilation LP from Stolen, on which one of the Pirates' dual singers, Tom Sanders, moonlighted acoustically under the name Tap Tap), their track had a lo-fi magic that could have been the pot of gold at the bottom of any number of wilfully skilled acoustic dreamers' rainbow. Yet this mini album takes the lo-fi dream and splays it in a million shards. "Come on feeeeeeet / One, two threeeeeeee!" Sanders announces in the first line of the opening track, before taking us on a rakish ride of humbly triumphant indie surrealism and folk ingenuity. "One, two, three and the clock strikes three / We ain't got time and we ain't got free / 6.15 and we're cooking tea - onion garlic sesame" is quaint indie Anglocism to its core, the track it's taken from a typical example of the Pirates kind of innovation, building to an epic lyrical riposte that blazes to the stars on sublime guitar refrains. All seven tracks here are similarly terrific in the best traditions of artfully shambolic indie, the stand-out ‘She Doesn't Belong’ particularly sparkling with a humble romanticism, and the effect of sustained, lyrically-inspired emotional involvement won't be purveyed better anywhere outside the world of, erm, Darren Hayman. Some fete indeed for a debut release. With the vocalists' dual captaincy pointing the way for an outlandish deck of indie drop-outs, it won't be long before ships are plundered far and wide. Moving onto a couple of slightly more obtuse gems, and a utilitarian little package arrives from the fine Spanish label Acuarela Discos, who last year put out Darren Hayman’s Cortinaland EP. As an assistant to Third Eye Foundation’s Matt Elliot and sometime member of pastoral luminaries Movietone, Chris Cole (A.KA. 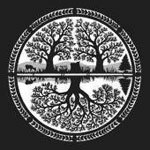 Manyfingers) has emerged from a lineage of genuine compositional innovation to treat us to an elegant composition or two of his own. At varying points in his debut Our Worn Shadow set, Cole’s intricate compositions spell rainy Parisian evenings, forgotten lovers, femme fatal dreams and any number of New Wave cinematic storylines that the master instrumental craftsmen among us seem to so effortlessly evoke. But possibly the unique achievement of Our Worn Shadow is the way its fearless classicism blurs the borders between instrumental indie and chamber music, opening gates to another dimension of strikingly poised, yet tantalisingly emotional atmospherica. Cole takes the sensibilities of his Bristolian peership and twists them into a totally undaunted world of his own. His use of instruments like piano, cello, violin, accordion and Spanish guitar is purist to its core, yet out of the minimalist forms his voice and vision resound lucid as day. Our Worn Shadow’s elegant exchange of instruments lulls you into places you want be, but have little chance of achieving, tracks like the opening Some Shield and For Measured Shores thrusting impressionable minds into a parallel world of quaint, Truffaut-like romanticism and re-awakened dreams. Single-mindedly reacquainting the intellect with the senses, Manyfinger’s debut opus soothes and stimulates the soul like cool milk, while the second of our obtusities adds what can only be hallucinogenics. As autumn’s grey coat threatens to slightly numb our sprightly, sun-fertilized minds, an album of pure bells is perhaps the kind of stimuli needed to keep one’s perceptions fresh and unwavering. 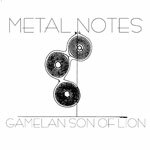 Gamelan Son of a Lion are a veteran ensemble of philosophers, composers and ethnomusicologists who see something in the use of the ringing tones that others, well, just don’t. Co-founded in 1976 by violinist Barbara Benary, avant-garde post-cage music specialist Philip Corner and clarinettist Daniel Goode, they are experts in musical structures not for the sake of expertise, but with the noble intentions of rendering something splendid out of the seemingly ordinary. This Metal Notes set is an affectionately crafted collection of bell tones and bell compositions each of which have a set idea or aim, but rise above their abstract conceptions by dint of a studied sensuality and genuine intellectual soul. What does the sound of bells evoke for the average person? In my experience they are often little more than an aural marker of a certain time, tolling away to signify arrivals of sordid little lunch breaks, and the like. Yet this record proves that for a more attentive listener they can evoke a depth of profounder emotions, which the Gamelan veterans duly tap into in an extraordinarily diverse and personally edifying manner. An interesting observation was made one morning by Manhattan music instructor and Afro-Cuban beats aficionado David Demnitz: “I sat outside the church one winter morning and wrote down what the bells were doing and analysed the sound they made. Four things happen: The bells ring simultaneously, ring one at a time, or they are silent.” Now, while accepting that this may not be the most thrilling thesis you’ve ever heard, the resulting track which Demnitz describes as a “sound documentary of a set of church bells” is imaginarily poised, sturdily unspectacular in the tradition of naturalistic, minimalist composition, while also bestowing a new poetic texture and form on the subject that’s tremendously enlightening. An old friend of the Gamelan ensemble, Kieth Ray Bersey, is eulogised in a track entitled Kieth Rays, composed by Denise Rightmire-Womelsdorf with a personal touch similar to that of Demnitz. Rightmire-Womelsdorf actually uses what sounds like Eastern flute tones to build on a Bach-like, rolling platform of bells to give an elaborate and typically resonant depth of plaintive enchantment. Though the general conception of the tracks on Metal Notes is often of a risible nature, the tracks themselves are anything but, each one retaining an authoritative air of assurance that’s perhaps the consequence of over two-hundred-and-fifty combined years of aural pursuits within the Gamelan retinue. With ages ranging from fifty-four (Peter Griggs) to seventy-three (Philip Corner) these guys have the kind of experience presumably needed to tackle bells in such an exclusive manner. Another interesting trio of tracks in conception and execution are Gamelan STEINN, Hear the Sound of Random Numbers, and Random Chords. The former, composed by Philip Corner, is played “with, or on” an exclusive and geographically significant brace of rocks. Trips have been made to extract pitched Reykjavik stones and Snaefellnes black lava from their natural habitat to bang together with astounding avant-melodic nous. If asked to provide the aural opposite of the sound of bells one could very well come up with the hollow clacking of stones immediately, but these hand-selected items lend themselves uniquely to the Gamelan’s musical play, and even seem to echo like they, too, have been “bellified”, giving an impression that’s pretty startling, while keeping the LP’s consistency of theme relatively unblemished. While appraising Mr Corner for his solid comprehension of global rock textures, the mathematical ingenuity of the latter duo perplexes in theory yet once more intrigues in content. Composed in 1979 (though it could have been ‘78), Hear the Sound of Random Numbers and Random Chords are two out of a set of three which “orchestrate random numbers translated into tones and sounds of the gamelan. As its amazing sum effect, Metal Notes leaves the reviewer pining for the sacred shores of Caldey Island, while wishing it was run by Hermann Hesse, circa The Glass Bead Game. A compelling dream sculpture and formidable musical and mathematical web, it’ll keep you in thrall for hours. Get your friends over and make a night of it, particularly if you never want to see them again.